Chin oversees Telecare’s Information Systems Department. In this role, Chin is responsible for leading all aspects of technology at Telecare, including Electronic Health Records (EHR), enterprise applications, business intelligence, networking and infrastructure, and technical support. 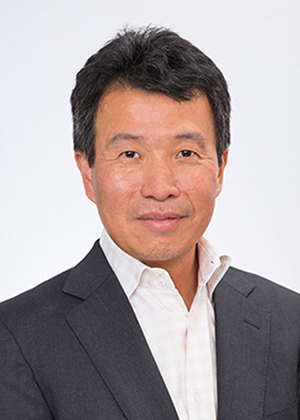 Prior to joining Telecare, Chin was at Pacific Pulmonary Services, where he held various positions including Vice President, Strategy and Partnership, and Vice President, Information Technology. He holds a Bachelor of Science in Aerospace Engineering from the University of Michigan and is a member of College of Healthcare Information Management Executives (CHIME), the Healthcare Information and Management Systems Society (HIMSS), and the San Francisco CIO Leadership Network. Chin is active in a variety of organizations. He serves on the Board of Directors of Golden Gate Regional Center and Golden Gate Regional Foundation. He is a parent volunteer and chair of the Bay Area Early Start Strategic Taskforce. He is also a community volunteer on the Marin County Early Intervention Team.